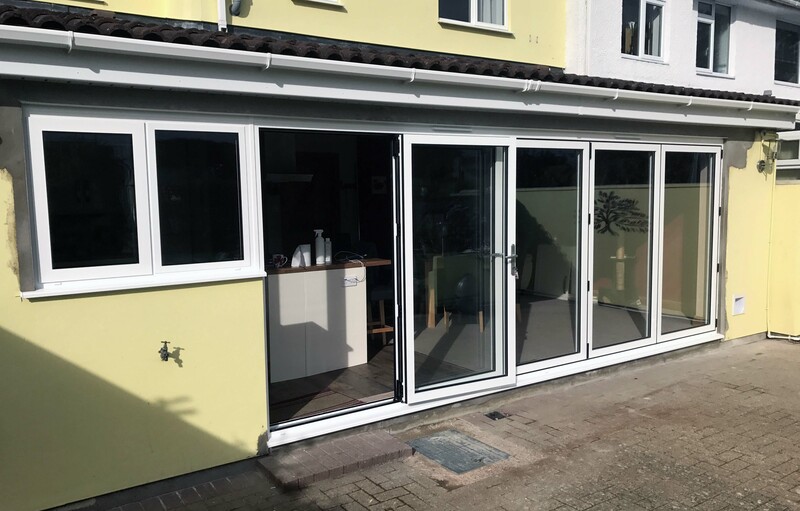 Huge Bi-Fold Doors In Langford Boulton Glass recently completed a five-meter bi-fold door and window project in Langford, Somerset. The customer has a beautiful, large garden (with hot tub!) and the view was being blocked by an unnecessary wall. We offer the highest quality products, at a cost efficient price.